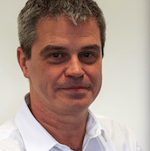 Nigel Kay has joined Bandai UK as Sales Director. He joins from Hasbro where he was most recently Channel Sales Manager. Prior to that he had senior roles at Corinthian Marketing and Bestfoods.